When you move 2hrs away from everything you know....planning is key!! Hi Beau, good to hear you are making progress selling your house. I host a radio show every Friday on MSP Waves called The Alternative Lifestyle Show. 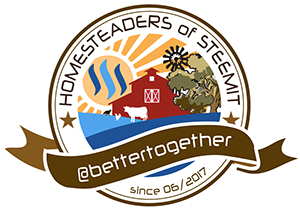 The show covers homesteading, prepping, homeschooling, tiny houses, renewable energy etc. I wondered if you would like to come on the show as a guest sometime? If you check my profile you will see links to recordings of previous shows if you would like to listen to one.